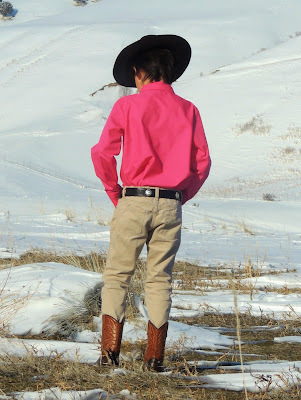 It's Day 2 of Boys Can Wear Pink (Season 4) here on the CKC Blog, and today we're going Western! Doesn't this guy look AMAZING?! Our tester Brianne Israelsen made this solid pink button-up for her guy using our Eric's Dress Shirt pattern. I love all the details, from the collar to the cuffs, to the hat and the tie, to the belt buckle and the boots! 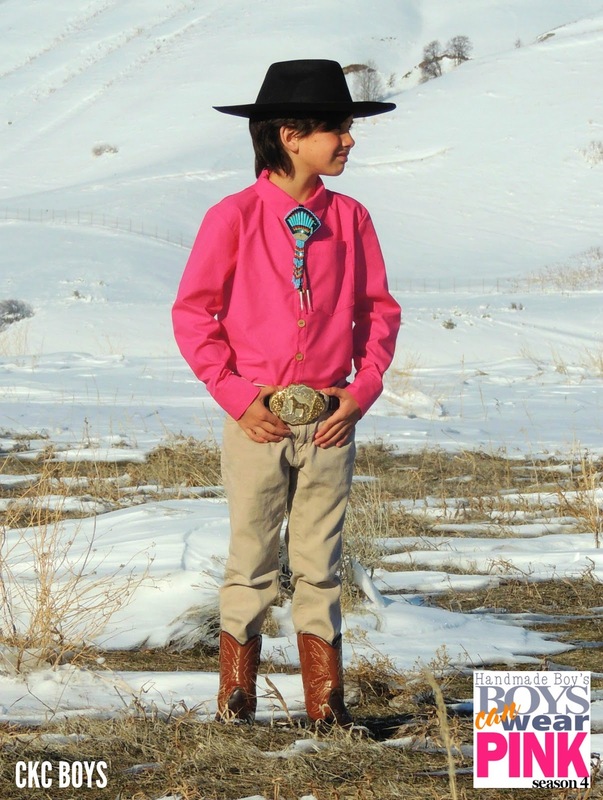 Brianne and her little guy come from Navajo roots and are very proud of their heritage. 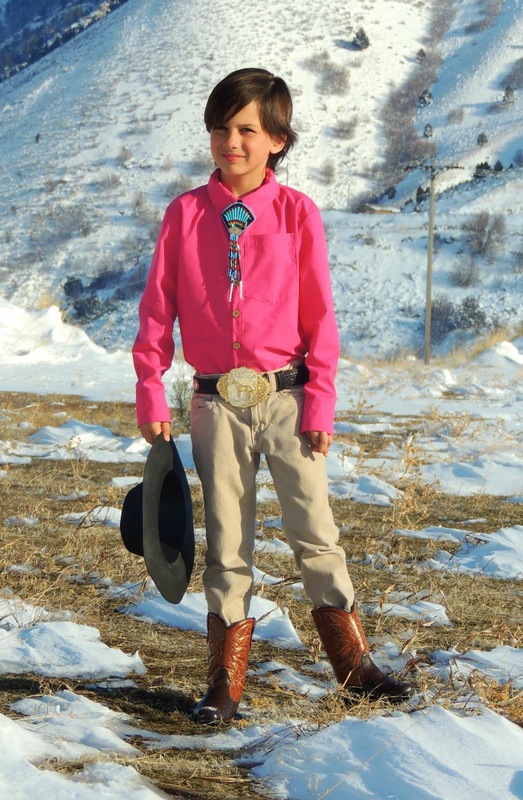 His grandmother grew up on the reservation and the family still spends a lot of time there; they say in these photos he looks like a little Navajo sheep herder! Traditionally, the Navajo people have herded sheep and goats. He also says this outfit makes him feel like he's ready to go train horses like his mama used to do! 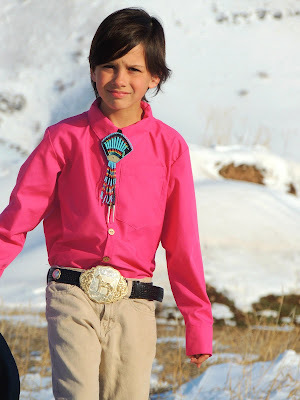 I just love that this pink project makes his FEEL something about what he's wearing. It's not just a costume or an act; the ties to his roots are priceless. Plus, he looks super handsome and stylish! I think there's no doubt he's pulling off the pink with total flair. Whether or not you have the western way of life in your past, I hope you consider making some of these great "pink" looks we're sharing with you this week! Our Eric's shirt comes in sizes for Babies, Kids, and Tweens. We also have more pink styles coming up every day this week! Tomorrow it's CKC goes "Comfy". See you back here tomorrow! SO CUTE! The bolero and belt buckle sell this entire outfit to me! It's perfect.